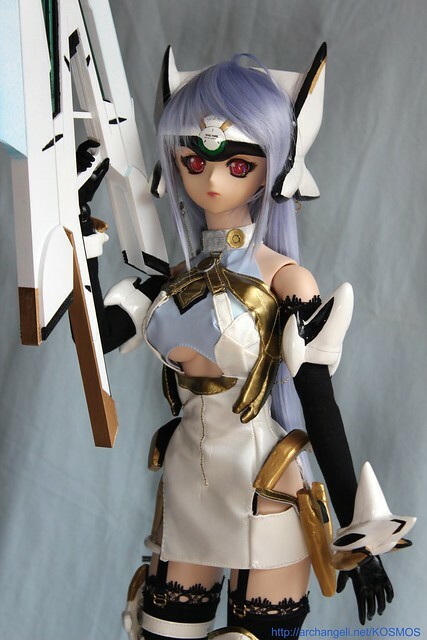 Here is a diary of how my custom Xenosaga KOS-MOS Dollfie Dream came into being. She was a collaboration of Machiko (my sister), Kevin (my hubby) and myself that spanned about 15 months on and off. Oh my goodness! She’s really ready to battle…lol nice outfit! Wow a lot of armor. Lol!!!! She is is ready to battle. I wonder if she is battling for the last cheese burgers!!!!!!!!! Of course, her sisters might not want to pick on her anymore, it doesn’t mean they do pick on her. Glad to see someone love Kosmos as much as me. She was the one that got me into DD after her pre-order appeared.